Hey everyone! 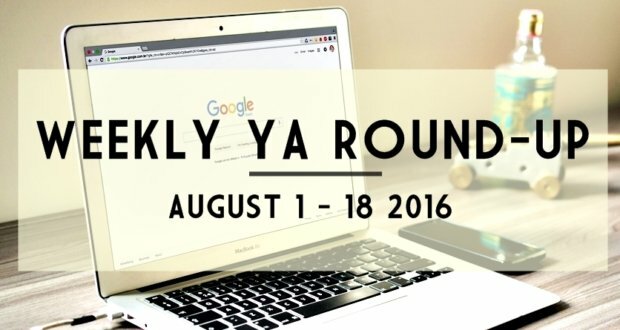 Welcome to the Weekly YA News Round-up, the place where you can catch a lot of interesting new YA-related news — great for anyone who wants to get their news in one go. So, August is halfway over, and in the past two weeks there’s been plenty of YA-related news that’s sure to please any good YA fan. I know it’s supposed to be a weekly round-up, but we’re cheating a bit since this is the first time, and so we’re looking at about two weeks’ worth of articles, lists, and news, instead of just a week’s worth. Which means plenty of stuff to read up on! From a young dance star planning to release a memoir and pen a few books, to the most anticipated YA books coming out soon, here are the things you might have missed out on – or want to revisit – in YA literature. That’s it for the first two weeks of August and the last few days of July! We’ll be back next week for more. Oh, and for the writers out there, don’t forget to submit your work for the “That Moment When…” YA anthology!